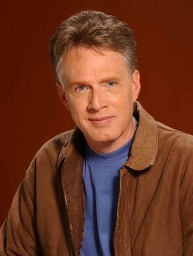 Paul was the nationally syndicated radio talk show host for ten years of the “Paul McGuire Show,” host of “The McGuire Report,” and has been the Executive Producer on two science fiction films in Hollywood. The History Channel aired a 2-hour special with Paul entitled, “Seven Signs of the Apocalypse” and he was a frequent guest commentator on the Fox News Network and CNN. He has interviewed numerous world leaders, Presidents and Prime Ministers. Paul is a professor on Bible prophecy and taught at Jack Hayford’s King’s College and Seminary for over 20 years, until the school relocated to Texas. Paul and his wife, Kristina, have been married for 40 years and have 3 children. He was a member of the Church on the Way for 30 years and discipled by Dr. Jack Hayford, who is one of his spiritual fathers. His ministry has been publicly endorsed by Jack Hayford, Francis Schaeffer, Edith Schaeffer, Tim and Beverly LaHaye, James and Shirley Dobson, the late Pastor Chuck Smith, the late Dr. D. James Kennedy, the late Dr. Bill Bright, and many others.